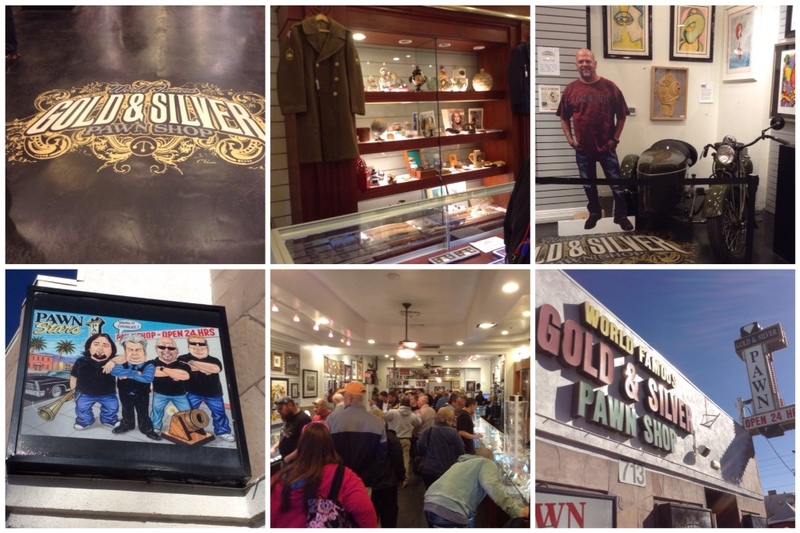 Booked in for a tour – Gold and Silver Pawn Show VIP Tour. 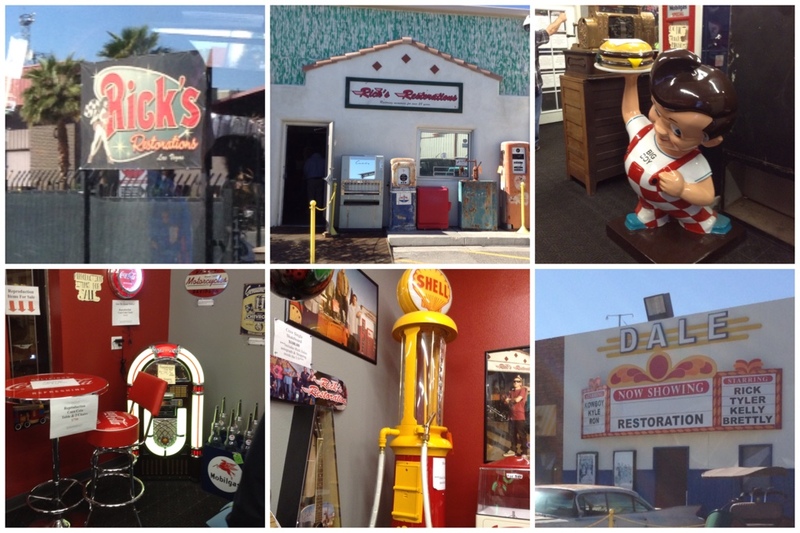 Takes in the History Channel shows of Ricks Restorations, Pawn Stars, Counts Kustoms, Toy Shack and ATM (Acrylic Tank Manufacturing). Christian is our tour guide for the afternoon. Did you know Las Vegas, means The Meadows? Shouted out by a Spanish conquistador when he discovered the area in 1829. The 4.5 miles long Vegas strip is not actually in Las Vegas but actually in Winchester or Paradise. Las Vegas is actually out past the strip, we went through there this morning on our way to finding the racetrack. It was an eye opener, past Fremont Street mall, there are homeless people living on the edges of the street. Such a stark contrast to the strip that's for sure. 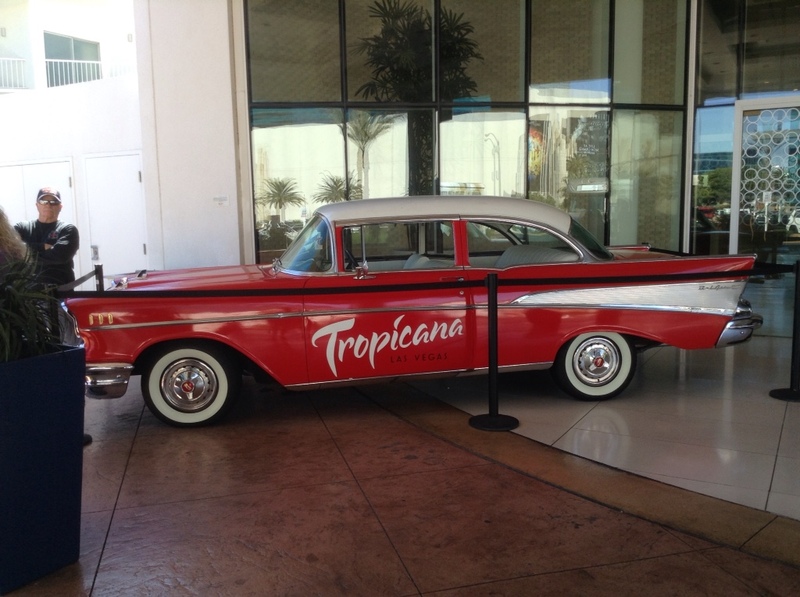 Pick up was at the Tropicana and the red car! First stop at Ricks Restoration in the arts district, lots of car shops, detailing upholstery etc. this is cool! Couldn't take photos in the back shop tour area. There were all sorts of amazing restored pieces, one ready to go to Aus! They really do amazing work. We got to meet Ron, Ricks brother. We've seen him sent out on parts missions on the show before! Got an autograph and a photo with him. 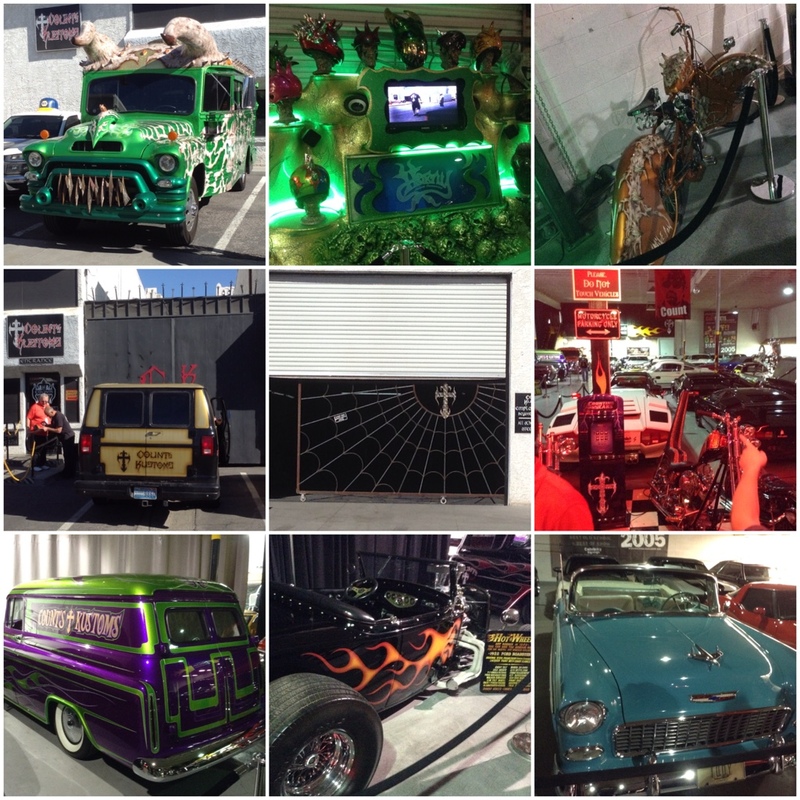 Next it's on to Counts Kustoms to check out the beautiful restored cars that Danny and the boys do. 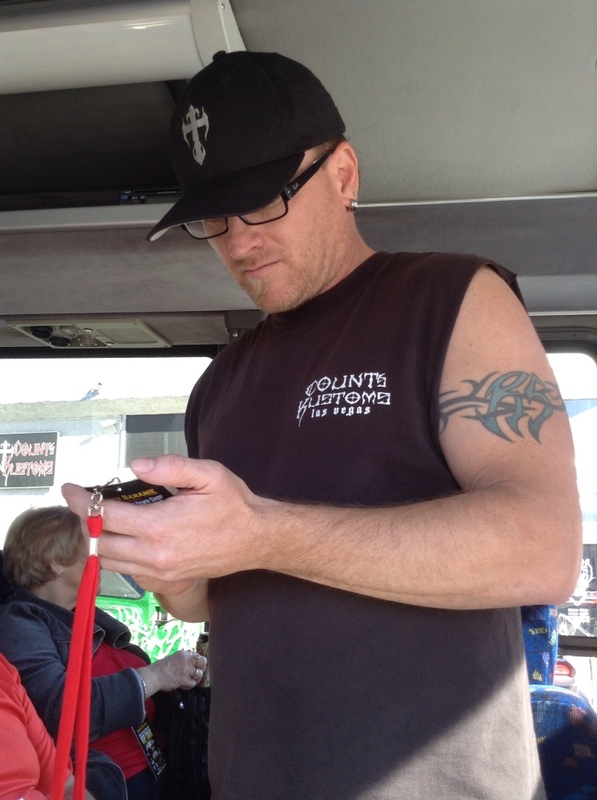 Horny Mikes bus! Way cool. Because he likes horns, this has two train horns installed in it. Awesome paint job and the 3D skulls popping out of the back are unique. 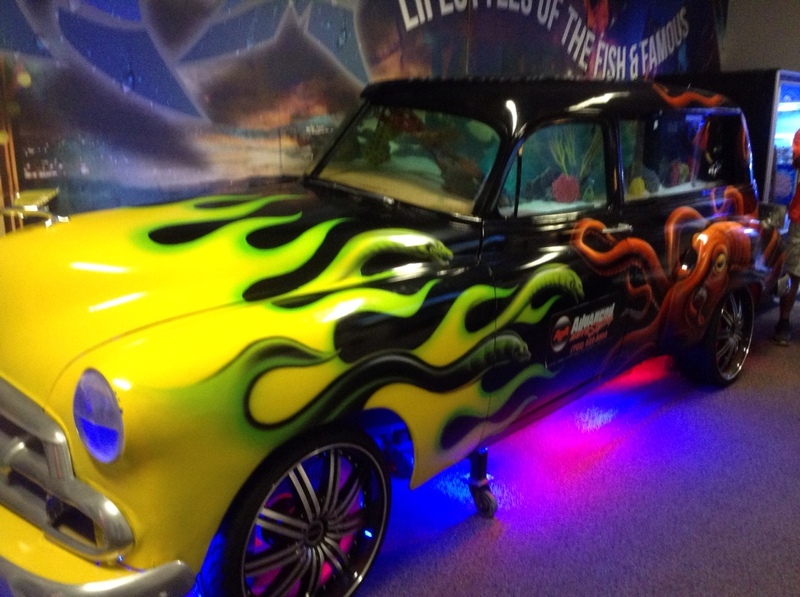 The cars in the show room are only a third of Danny's collection. Got an autograph from Roli while here before we left. 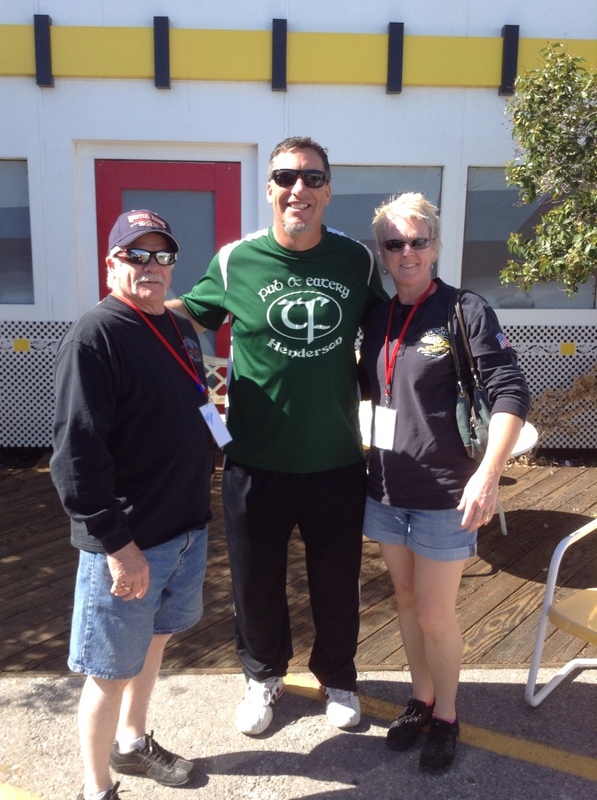 Next on to Pawn Stars – Gold and Silver Pawn Shop. 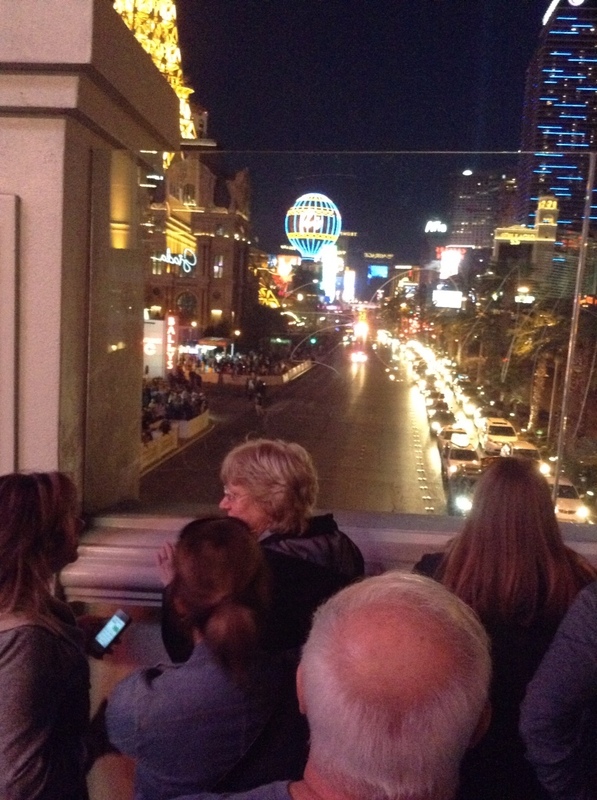 We just missed seeing Chumlee by 5 minutes! Didn't buy anything, checked out a watch but nothing jumping out at me. He made another appearance so some of the bus got to see him. 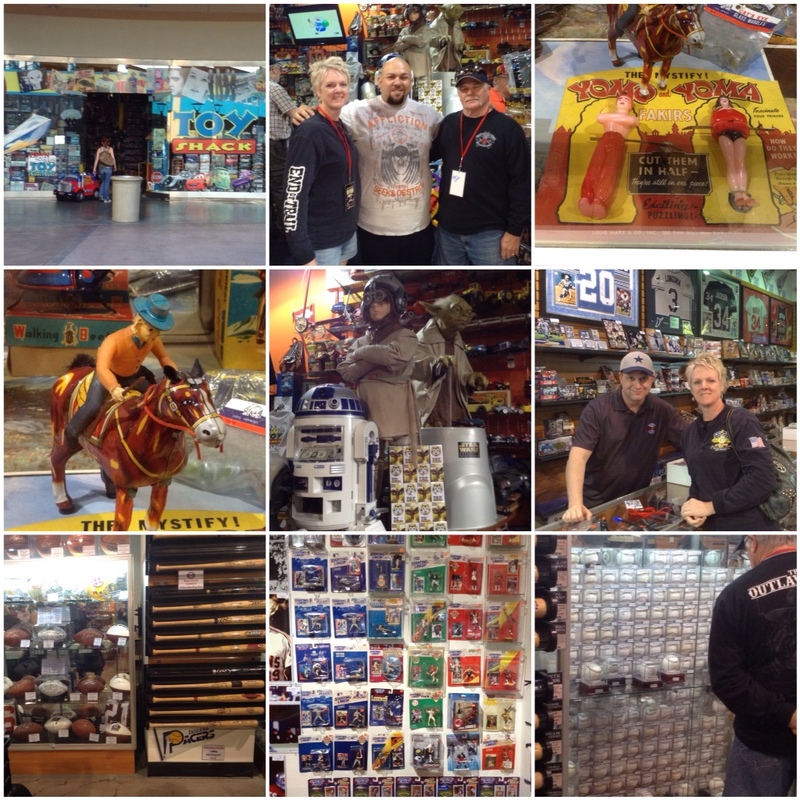 Johnny from Toy Shack, Jeremy from Sports Card Memorabilia both appraise items that come into the Pawn Shop. 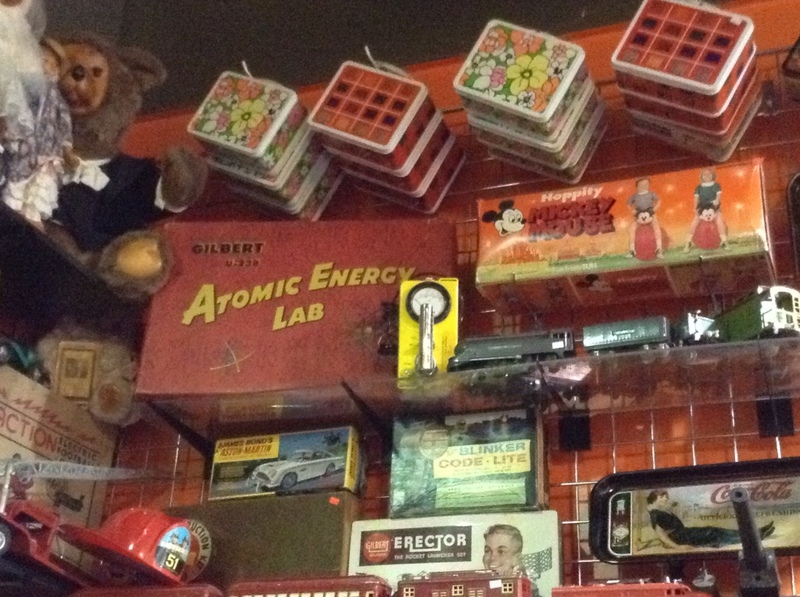 See the Atomic Energy Lab toy? That actually had uranium and plutonium In the box, 1959 toy! Acrylic Tank Manufacturing the final stop of the tour. Animal Planets number 1 show called Tanked. 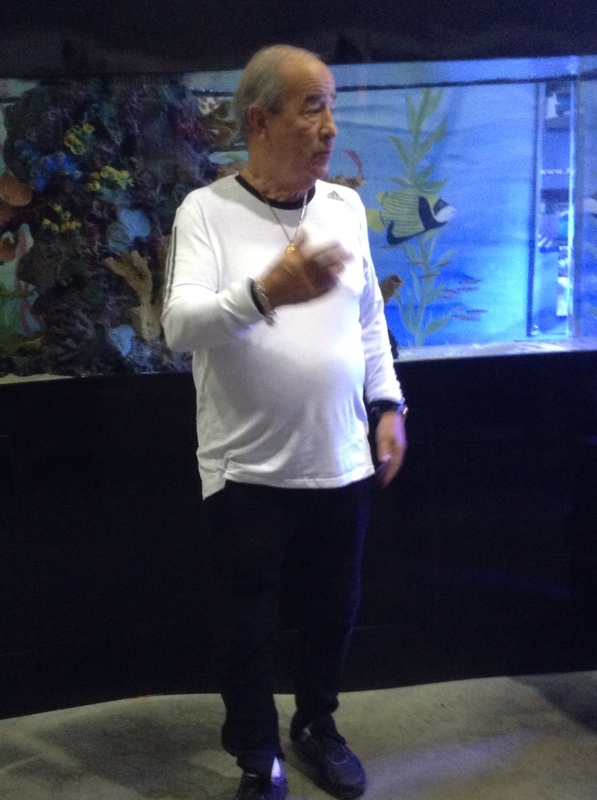 They build specialised fish tanks in various shapes, light up etc. we haven't watched any of these shows. It sounds like they do very unique stuff! They've done the tank for Silverton hotel where they hold underwater mermaid shows!….. Only in Vegas. 'The General' one of the owners of ATM did a little speech for us, we took a quick look at projects underway and we were on our way back to the strip. The NASCAR truck parade was tonight. The streets were packed with people for the 6pm parade. Bought our tickets for Jersey Boys tomorrow night and headed back to the hotel. Trivia alert – Trump tower building with its glimmering windows – every window is guilded in 24ct gold.